Aug. 27: Week Ahead is excited to announce the launch of Modern Healthcare Metrics, a new financial and quality data tool. The database offers cleansed Medicare financial and quality data for individual hospitals based on Medicare number. You'll see data from Modern Healthcare Metrics pop up in our news stories and drive in-depth reporting on specific markets, but subscribers are encouraged to take the tool for a spin, too. Aug. 27-30: Hundreds of health IT professionals will invade Verona, Wis., for Epic Systems Corp.'s users group meeting, whose theme of “the great outdoors” does not, unfortunately, relocate much of the meeting to the outdoors. Since gathering its users a little over a year ago, the mammoth EHR vendor has tried to address interoperability and incorporate social determinants of health into its products, among other things. Modern Healthcare tech reporter Rachel Z. Arndt will be there for a couple of days to report on any major news while avoiding getting lost on Epic's epically large campus. 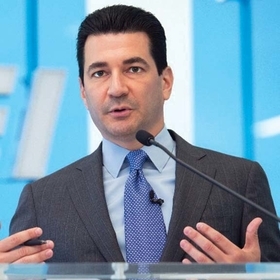 Aug. 27: Way back in March, Food and Drug Administration Commissioner Dr. Scott Gottlieb announced the Nutrition Innovation Strategy. The idea: improve public health by helping consumers make smarter decisions; encourage the food industry to make healthier, well, food; and use nutrition to battle the growth in chronic conditions (did someone say social determinants?). The FDA held a public hearing in June on the strategy, but the agency will officially close the window now on accepting comments on the strategy. As of late last week, more than 1,000 comments had been submitted.